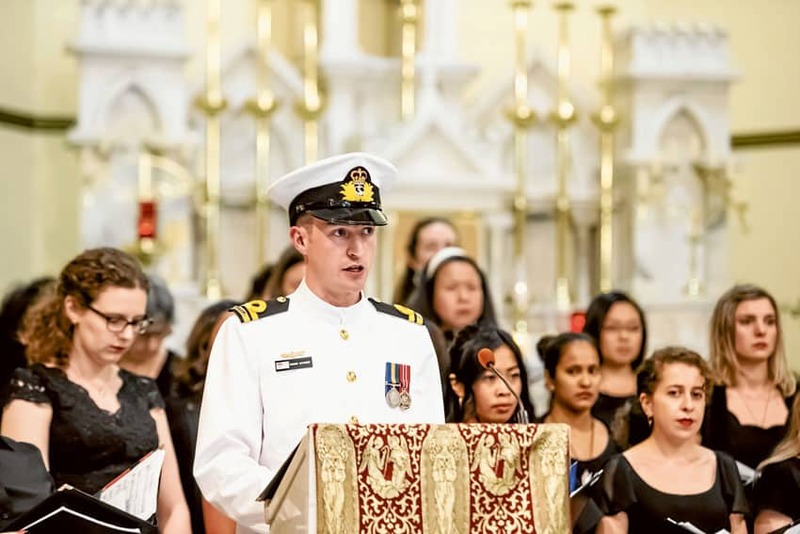 In a deeply moving tribute in music for the Centenary of Remembrance Day, 114 musicians gathered last Sunday at St Peter’s, Surry Hills, to honour 114 St Peter’s parishioners who served in World War I – more than half of whom never returned home. Archbishop Anthony Fisher OP was present for the special Remembrance Day ceremony and also blessed the new St Peter’s Memorial Pipe Organ. 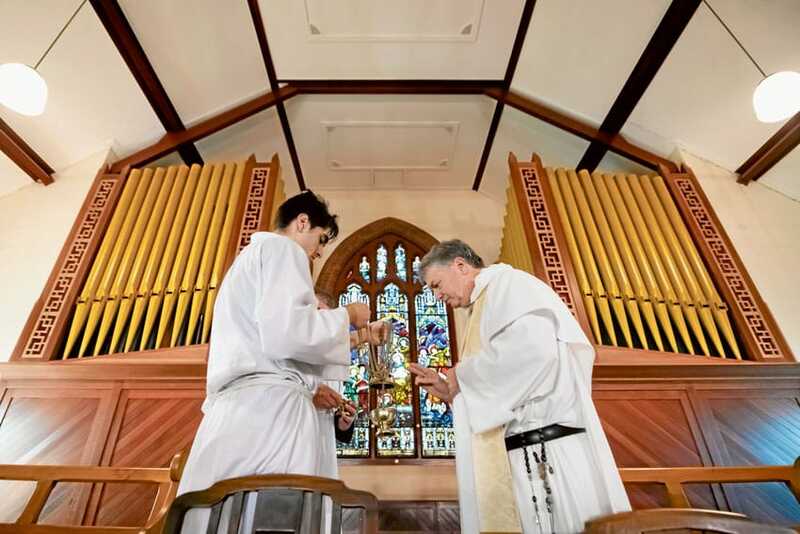 The parish has been fundraising for seven years for the new organ which is a remodelled Fincham Organ originally from St Mary’s Anglican church in South Camberwell in Victoria, but relocated to Surry Hills and greatly expanded by organ builder Campbell Hargraves. Opened in 1918, St Peter’s Church was one of the few churches or major buildings in Sydney completed during the Great War so the parish is also celebrating its centenary this year. “1918 was a deeply historic year for the world and for St Peter’s Parish” said Fr William Milsted, the parish priest of St Peter’s Surry Hills. “By 1918 the full calamity of the war had had its impact and yet the parishioners of St Peter’s continued to build their new church to its completion. “Once the War finished, a shield with 114 names of parishioners who had served was installed on the front of the church’s altar rails by Fr Richard Collender the then parish priest. The new St Peter’s Memorial Pipe Organ has been dedicated to the 114 parishioners who served as well as the families and friends of those left behind who continued to build St Peter’s Church whilst their sons died on another shore. The original 1880 church at St Peter’s remains and is now the beautiful 1880 Hall where Archbishop Fisher greeted musicians and audience after the ceremony for afternoon tea and Anzac biscuits. The Remembrance ceremony consisted of music by composers who lived through the War and featured a 60-strong orchestra, three choirs (St Peter’s Parish Choir, Artes Christi and the St Francis’ Paddington Choir) and the new organ. The conductor was Eugene Raggio. The afternoon began with the organ prelude Parry’s Elegie (1918) played by Sydney organist Peter Kneeshaw and was followed by Elegy in Memoriam Rupert Brooke for Strings and Harp by Septimus Kelly, an Australian composer who served at Gallipoli. Rupert Brooke was an English poet who died of disease on the island of Skyros outside Gallipoli on 23 April 1915 only two days before the very first Anzac Day (25 April 1915). Brooke was a close friend of Kelly who is to said to have begun composing his Elegy as Brooke lay dying nearby. The work shows the great shock and deep loss at Brooke’s passing, yet there is virtually no indication of the immense scale of the massacre about to await Kelly and all those headed to Gallipoli. In this sense, the music (and also the very writing of the piece on 23 April) are insights into the optimistic but tragically misinformed view of the Allied soldiers as they headed to Gallipoli. As a younger man, Septimus Kelly studied at Sydney Grammar School and also competed in the 1908 Olympics representing Australia in rowing. Kelly survived Gallipoli but died at the Somme in 1916. Following the Kelly Elegy, the Choir then processed in to Elgar’s beautiful Remembrance anthem Nimrod led by Lieutenant Gordon Hutcheon of the Royal Australian Navy who is also a chorister at St Francis’ Paddington. After an introduction by Fr Milsted, the St Peter’s Choir conducted by Gerard Horsfall then sang Walford Davies’ beautiful 1915 motet Vox Ultima Crucis. The Navy Ode and Ode of Remembrance were then read by Lieutenant Hutcheon and The Last Post played by trumpeter Lars Mehlan. 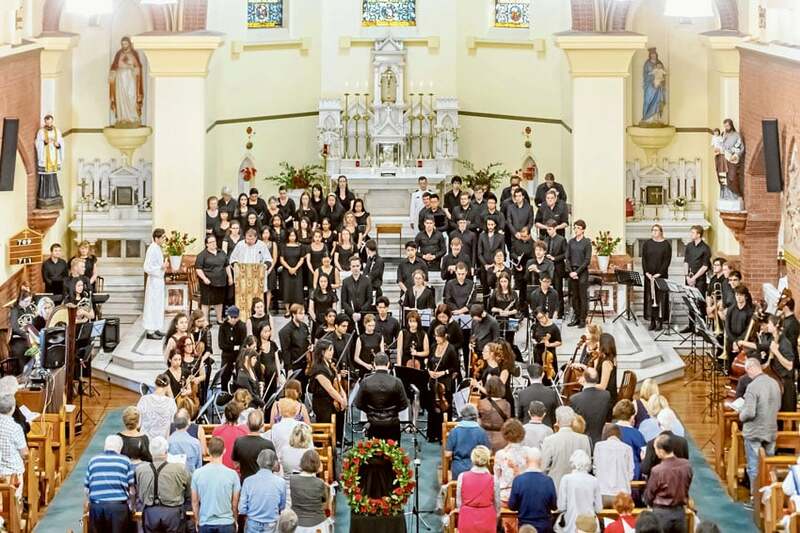 The Choir, Orchestra and Organ conducted by Eugene Raggio then performed Faure’s Requiem in honour of the 114 soldiers from St Peter’s including beautiful solos sung by Emma Fearnley (soprano) and Matthew Phillips (bass). Archbishop Fisher then blessed the new organ with the Rite of Blessing including Stanford’s Psalm 150 sung by the St Peter’s Choir. The Archbishop then blessed the new organ with Holy Water and incense. 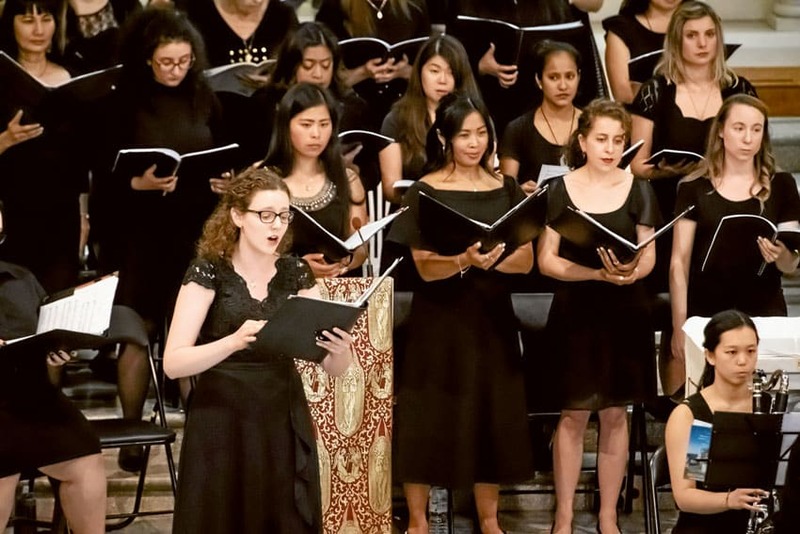 To celebrate the dedication, the Organ and full Orchestra then played the Finale from Saint-Saens Organ Symphony, which Saint-Saens regarded as his greatest work: “I gave everything to it I was able to give. What I have here accomplished, I will never achieve again,” he later wrote of his masterpiece. Archbishop Fisher then returned to the Sanctuary for the Final Blessing which was followed by the Choir, Orchestra, Organ and congregation singing Holst’s extraordinary hymn I Vow to thee, my country. The choir processed out to Gigout’s Toccata.